Manager Don Mattingly figured 78 games was a big enough sample size to give Luis Cruz the third base job headed into the 2013 season, without looking at the bigger picture. The Los Angeles Dodgers are struggling through the early stages of the 2013 season, as they currently sit at .500 (7-7) and in fourth place in the competitive National League West division. All-Star Matt Kemp has been at the forefront of the teams’ early struggles, hitting just .185 with four RBIs, no home runs, and 17 strikeouts in 54 at-bats. It’s hard to imagine that Kemp stays in this slump for an extended period of time based off of his track record in the big leagues. 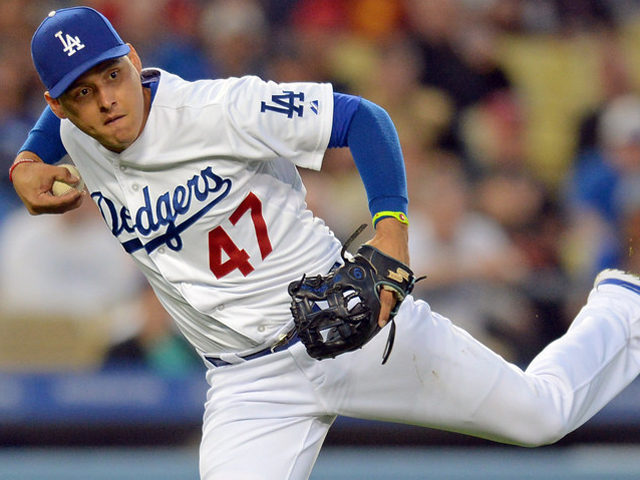 The real issue for the Dodgers could be with their everyday third baseman, Luis Cruz. 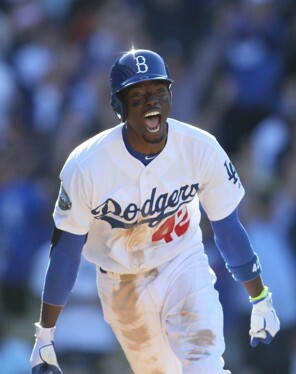 Dodger fans fell in love with Cruz during the 2012 season, when he finally got the opportunity to play in Los Angeles, after numerous injuries occurred on the big league club. Cruz took full advantage of that rare opportunity and never looked back. He started 48 games at third base, 23 games at shortstop, two games at second base and played in 78 games overall. In those 78 games, Cruz got 283 at bats and finished the season hitting .297 with six home runs, 34 RBIs and a .431 slugging percentage. The bigger picture is that Cruz might not be an everyday player at the big league level, especially if you look back at his track record. The 29-year-old only had 56 major league games under his belt before last season, which should be a red flag right there. Most everyday players in the big leagues don’t usually play 10-plus years of minor league ball before earning that label. Before last season, Cruz had just 154 major league at bats in his career and never got more than 70 at bats in a season. Now, 36 at-bats into Cruz’s 2013 campaign, he is hitting just .103. 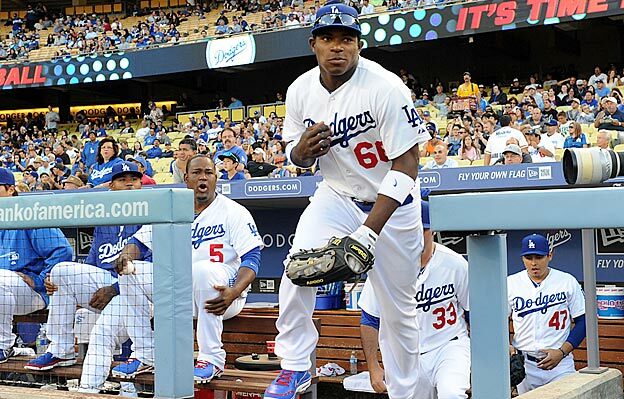 This should be a concern for the Dodgers going forward because they’ve been playing musical chairs on the right side of the infield with Hanley Ramirez on the DL and Juan Uribe, Nick Punto and Jerry Hairston Jr. getting opportunities off of the bench. Cruz’s track record doesn’t show the consistency of your ideal everyday player, so if he doesn’t come out of this slump than this might actually be who he really is. He has shown his pop to the left and right center gaps, while flashing the leather at multiple infield positions, so Cruz might not be consistent enough as an everyday player in the major leagues, but he could still be a valuable asset off of the Dodgers bench. The Dodgers had a 6 game home stand last week after taking their first 3 out of 4 games against the Padres at Petco Park. 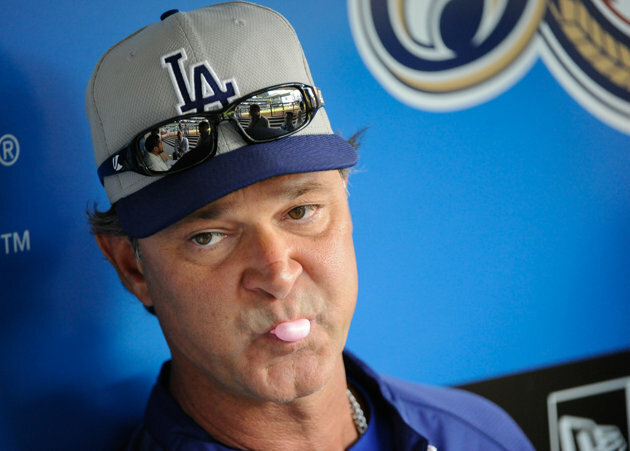 The Pirates were the first team to come to Dodger Stadium this year, but left with a bad taste in their mouth after being swept in the 3 game series. Clayton Kershaw pitched the home opener against Pittsburg, finishing with 7 IP, 4 H, 1 ER, 7 SO. Those are your typical Kershaw numbers. The Dodgers went on to win that game 2-1 thanks to an 8th inning go ahead homer by Andre Ethier, is “Captain Clutch” back? The Padres were the next team to come to Dodger Stadium over the weekend for a 3 game series, which is always a good time. On Friday night Aaron Harang took the mound for the Dodgers, who lost his first start to the Padres on the previous Sunday. Harang started the game with 9 consecutive strikeouts! That is a new Los Angeles Dodgers record, and probably the most unexpected thing we will see all year. It was a wild game with the Dodgers winning 9-8 on a walk off walk in the 9th, by no other than Andre Ethier. This series also ended in a 3 game sweep, with Matt Kemp hitting home runs in all 3 games and 4 overall for the series, and now Kobe Bryant isn’t the only one getting MVP chants in Los Angeles anymore. I’m not saying this 9-1 start means that the Dodgers will win the World Series this year, but I’m also not saying that they won’t win it. Everything is going right for this team right now, although the bullpen could use a little bit of help. 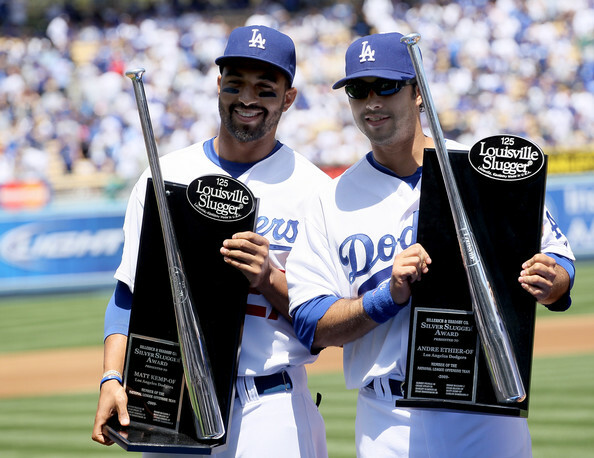 Dee Gordon has been stealing bases as often as the Kardashians are on TV, Matt Kemp is playing like he is worth $260 million, Andre Ethier is playing like he actually wants to play, and after Kershaw the starting pitching has been better than expected. Even Mark Ellis, AJ Ellis, and Juan Rivera are doing their part, and James Loney and Juan Uribe are starting to HIT!! That actually probably deserves more than two exclamation points, I’m almost happier than when I got my first car. The Dodgers start should be credited to the great baseball they’ve been playing, but also to all of the baseball magazines that counted this team out before the season started. In the game of baseball it’s a valuable weapon to have a 1-2 punch in your lineup or on your pitching staff. If you look at the teams that are constantly in contention for a World Series, they have this weapon. The Philadelphia Phillies have both, with Ryan Howard and Chase Utley in their lineup, except this year due to injuries. When it comes to their pitching they really have a 1-2-3 punch with Roy Halladay, Cliff Lee, and Cole Hamels. This is why they’re in the hunt, every single year. In the American League you have 1-2 punches in lineups everywhere like Miguel Cabrera/Prince Fielder in Detroit, Alex Rodriguez/Mark Teixeira in New York, Adrian Gonzalez/David Ortiz in Boston, and Josh Hamilton/Adrian Beltre in Texas. As long as these teams can have a productive 1-2 punch, they will always be in contention. A 1-2 punch in your pitching staff with a lack of offense can even take you a long way in the MLB, just look at the 2010 San Francisco Giants. 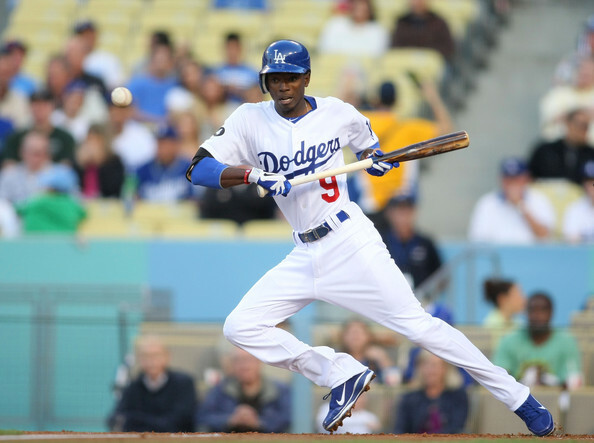 The Los Angeles Dodgers, who are being overlooked by everyone, might have both weapons this season. They already have Matt Kemp who is coming off of what should have been an MVP season, and Clayton Kershaw who won the NL CY Young award last year. So who will be the two players to complete the Dodgers 1-2 punch? In the Dodgers lineup look for Andre Ethier to be the guy to fill that spot. In last night’s game against the San Diego Padres he went 2-4 with 4 RBIs, against left hander Cory Luebke. I mentioned that it was off of a lefty because that will be the big test for him this year, can he hit left-handed pitching? It was just one game, but for me that question was answered last night when he tripled off the wall. When the Dodgers went to back to back NLCS appearances in 2008 and 2009, they had one of the deadliest 1-2 punches in baseball with Andre Ethier and Manny Ramirez. So if Ethier can get back to his All Star form and hit left-handed pitching consistently, a Matt Kemp/Andre Ethier 1-2 punch could take this team a long way. The pitcher that needs to step up and complete the Dodgers pitching 1-2 punch will be Chad Billingsley. He has the stuff to be a dominate pitcher in this league, but the consistency hasn’t been there for him. He once won 16 games in 2008 and was named a National League All Star in 2009. The All Star Chad Billingsley made an appearance last night against the San Diego Padres when he went 8 1/3 innings with 11 K’s, 1 BB, 0 R, and 4 H. Now I know with his consistency he could do the complete opposite in his next start, but let’s be optimistic. If he can pitch anything close to those numbers consistently, the Dodgers will have a dominate 1-2 punch. We already know what Kershaw can do; he threw 3 innings of shutout ball with the flu on Thursday afternoon! So if the All Star Chad Billingsley decides to show up on a consistent basis this year, the Dodgers will have their pitching 1-2 punch. The key word here is CONSISTENT, if Ethier and Billingsley can be that, and Kemp and Kershaw do anything remotely close to last season, the Dodgers 1-2 punches could take them deep into October.